"I lived for art, I lived for love.” Giacomo Puccini wrote these lines for the heroine of his most celebrated work, Tosca. But they equally apply to the composer himself. An unrelenting bon-vivant, Puccini has been called the last great poet of Italian opera, creating some of the most memorable music ever written. 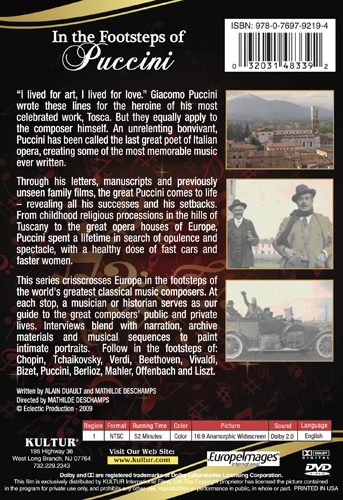 Through his letters, manuscripts and previously unseen family films, the great Puccini comes to life – revealing all his successes and his setbacks. 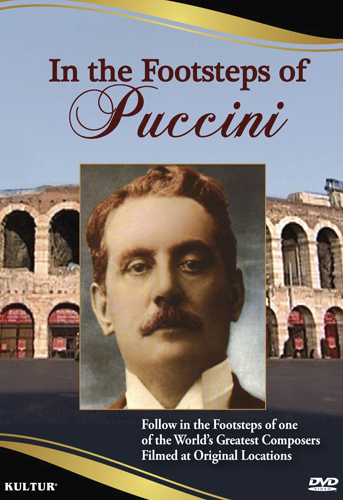 From childhood religious processions in the hills of Tuscany to the great opera houses of Europe, Puccini spent a lifetime in search of opulence and spectacle, with a healthy dose of fast cars and faster women.